The Audi Group continued its growth trend in the third quarter. The Ingolstadt manufacturer delivered a total of 320,276 (2010: 274,417) cars of the Audi brand – an increase of 16.7 percent. In addition, the Company generated revenue of €10.9 (2010: 8.4) billion and a record operating profit of €1.4 (2010: 0.9) billion. This is equivalent to an operating return on sales of 13.1 (2010: 11.1) percent. From January through September, the Audi Group increased the number of Audi vehicles delivered by 17.4 percent. With 973,211 (2010: 829,281) vehicles of the Audi brand, the car manufacturer posted a new deliveries record. As well as the rise in unit sales, the improved model mix among other things boosted Group revenue by 24.6 percent to €32.4 (2010: 26.0) billion. The Company recorded an operating profit of €3.96 (2010: 2.27) billion – an increase of 74.4 percent. At the end of the current business year’s third quarter, the operating return on sales was at 12.2 (2010: 8.7) percent. “After nine months we have already exceeded the operating profit for the whole of 2010,” said Axel Strotbek, Board Member for Finance, at the publication of the Third Quarter Report. According to Strotbek, the markets of Europe, China and the United States are the foundation of this strong performance. From January through September the Ingolstadt manufacturer delivered 551,981 (2010: 491,310) Audi brand cars in Europe, 12.3 percent more than in the same period last year. The new A6 and the A1 in particular were responsible for additional growth in this market. The Audi Group also increased its deliveries considerably in the United States with a 15.5 percent rise. A total of 84,981 (2010: 73,590) vehicles of the Audi brand were delivered to customers in the first nine months of the current business year. The company therefore anticipates a delivery record for 2011. As well as improved image ratings, new models play an important role in this market. The A8 has been available in the United States since the end of 2010, the A7 Sportback since May 2011. The new models in the full-size class also improved the model and equipment mix. 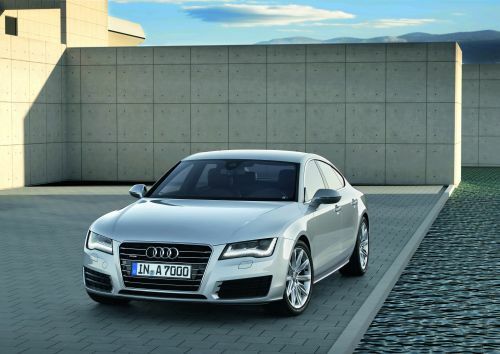 Audi is thus increasing the profitability of its business continuously in the U.S. market. Strong demand in China also supported the economic development of the Audi brand. The brand with the four rings delivered 226,010 (2010: 174,907) cars in China (including Hong Kong) from January through September. Audi thus improved on the prior-year figure by 29.2 percent and grew at a much higher rate than the overall market. The Company is planning to sell more than 300,000 cars in China this year. As well as the Q5 and long-wheelbase versions of the A4 and A6 produced locally in Changchun, the proportion of imported vehicles such as the A8 and the Q7 increased significantly. The market introduction of the A1 and A7 Sportback is expected to boost this trend in the fourth quarter and further strengthen the Audi brand’s leading position.